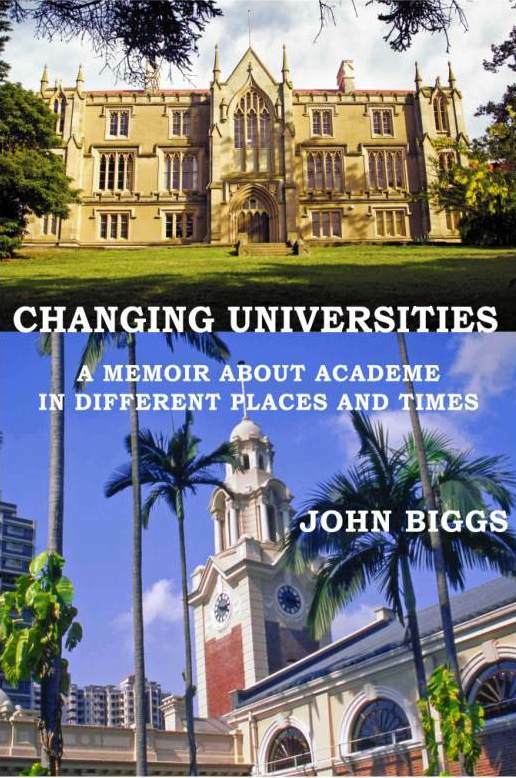 Cover pictures: My first and last universities (and many in between): University of Tasmania as it was in the ’50s, University of Hong Kong as in the ’90s. 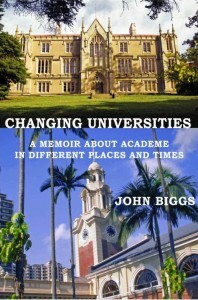 How have universities changed over the past 60 years? Are they functioning any better now than they once were? These are some of the issues that I face in reviewing mylong academic career. From student days I wanted to apply psychology to education. It was a long journey via universities in Australia, the UK, Canada and Hong Kong. My experiences were variously traumatic, bizarre, hilarious and rewarding, with the SOLO Taxonomy and constructive alignment as outcomes. My experiences tell what universities were once like, how they came to be what they are today, with a hopeful stab at what they might be like in future. I am critical of the modern corporate university but deny that, once upon a time, universities exemplified a Golden Age of scholarship …. Far from it.